Colorado Rockies starter Tyler Anderson didn’t have the best Spring Training. His first start of 2018 wasn’t great, either. 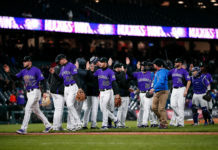 However, the Rockies’ win over the Padres in his latest start proved to be a great game for Anderson, and his performance reflected the talent that Manager Bud Black knows his No. 2 starter possesses. Black is hoping that Anderson’s latest performance will carry over into his next start, Tuesday against the Padres, and beyond. Although Anderson had a successful game last Thursday, his first outing did not had the same result. In his first start of 2018, the Rockies lost 9-8 to the Arizona Diamondbacks. Anderson allowed seven earned runs in 2.1 innings, matching a career low for his shortest outing in a start. He walked four batters in the game. Black was honest about Anderson’s performance; he expected more from the top lefty in his rotation. “Starting pitching is based on guys who throw strikes, guys who command the fastball, especially Tyler. 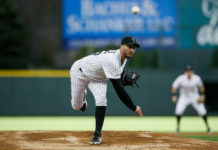 You look at his history as a minor-league pitcher, even the short time that he’s been in the major leagues, he’s been a pretty good strike thrower. So, that was uncharacteristic. I can’t explain it,” Black said following Anderson’s first start. Black was very pleased with Anderson’s rebound performance last week, and reflected on the change that made it possible. “The pace was right — again when you’re getting outs the pace should be good — but you could tell I think he was intent today to pick up the pace between pitches, pick up the pace, get the ball, get the sign and throw it. 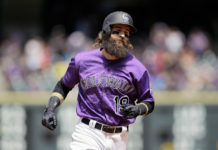 He slowed down a ton in Arizona, and really took the air out of the ball, and today was completely different, and I think his aggressiveness sort of feeds off that tempo,” Black said. In Arizona, Black mentioned that the fastball was “lacking” for Anderson, but in Thursday’s game he turned around his game completely. “The fastball was much better today. You saw some fastballs in the low 90s, which was good to see. Change up was effective. You know the cutter slider was good, mix in a couple curveballs, so it was well-pitched,” Black said. Anderson’s command was much-improved against the Padres, striking out four and walking none. He’ll try to duplicate that performance on Tuesday night against the Padres. The game features a pitching rematch with Padres left-hander Joey Lucchesi (0-0, 2.79). 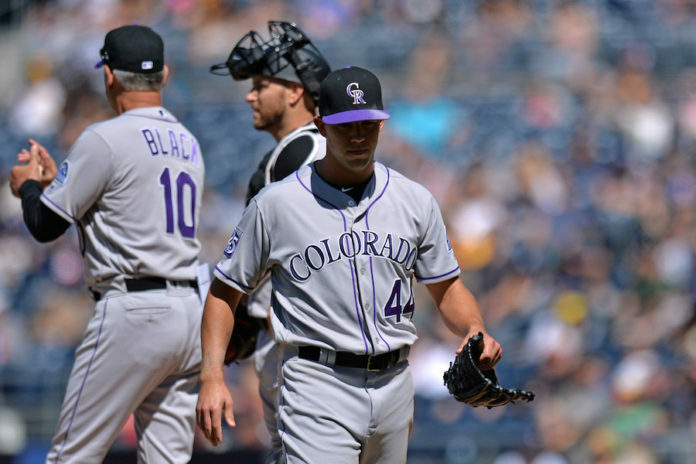 Neither Anderson nor Lucchesi factored into the decision in the 3-1 Rockies victory. First pitch is scheduled for 6:40 p.m. at Coors Field.